I enjoy being part of a team working toward a common goal. By being a part of the operational team that supports K&Y Investments and its affiliates, we have developed an understanding of their business needs, often enabling us to provide legal advice and guidance that helps avoid potential issues. 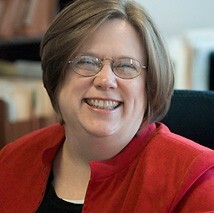 Karen is Of Counsel to The Nathanson Group. Since being admitted to practice law in 1980, Karen has represented corporate clients and regulators in a wide variety of transactional matters. Currently, Karen’s practice focuses on representing one of the firm’s clients in connection with all of their business transactions. Before joining The Nathanson Group in 2003, Karen served as Vice President and General Counsel for a group of property-casualty insurance companies and, prior to that, was a partner at a Kansas City law firm where she represented commercial lenders, broker-dealers, insurance companies, and manufacturing clients with their mergers and acquisitions, regulatory and commercial finance transactions.